Route description: One may traverse to the separating col from Cerro Piramide, or one may approach this col from the basin where the Chirripo trail forks from the trail going to Cerro Terbi. There is a trail that ascends this col, however, I did not discover this trail until quite near the col. This col is at location N09:28.044, W083:29.023, elevation approximately 3540 meter. From this col, climb along the ridge to the summit. There are several possibilities, some variants will be YDS class 3, others will stay at least within a class 2+ level. 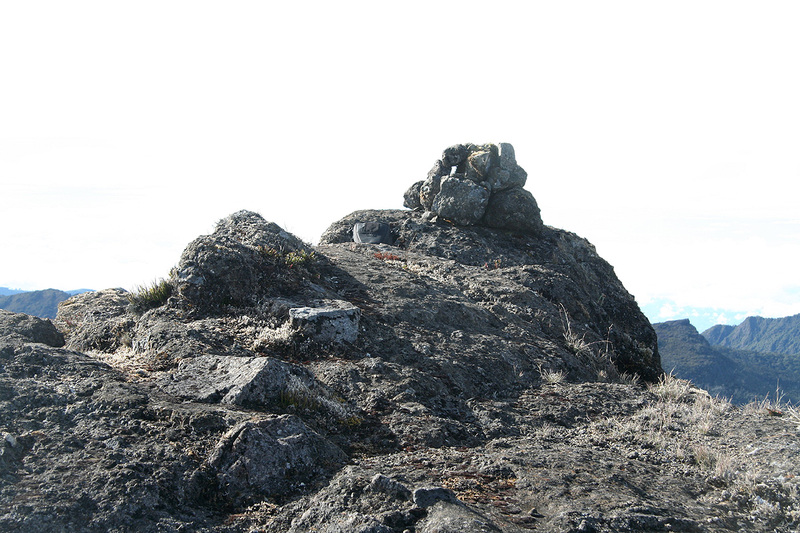 The summit is located on a rather distinct rock formation. 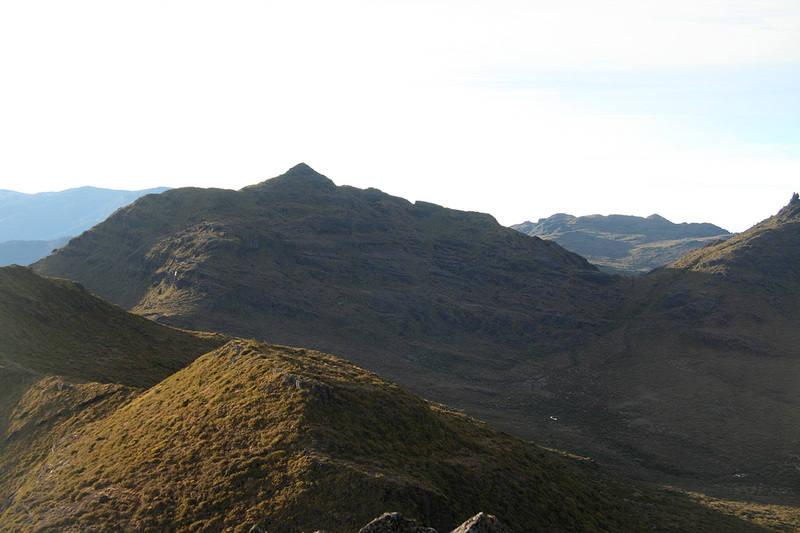 One can return the same way or continue the ridge traverse towards Cerro Terbi. 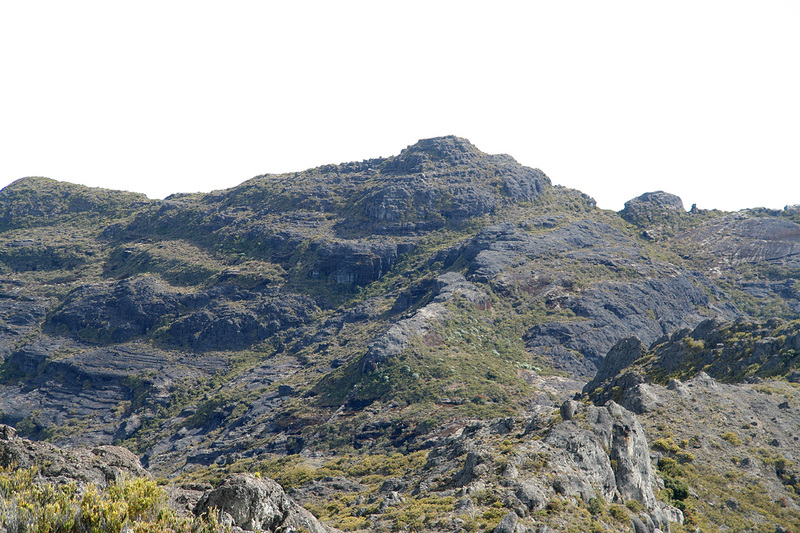 The peak may also be climbed from the col separating it from Cerro Terbi. This col has location N09:27.663, W083:29.159, elevation approximately 3592 meter. Pico Sureste, as seen from Cerro Piramide. Pico Sureste, as seen from Cerro Terbi.